On Tuesday, November 1, 2016, the Mailers’ Technical Advisory Committee (MTAC) held their open session at the US Postal Service (USPS) Headquarters in Washington, DC. This session is a great opportunity to hear from USPS senior officials on upcoming priorities and programs. 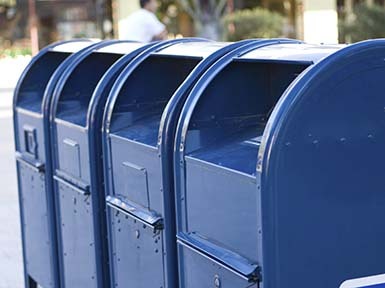 Just as important, mailers can ask direct questions – and usually receive direct answers – from those same officials. Leading off was Postmaster General (PMG) Megan Brennan. PMG Brennan’s tenure in office has been marked by a renewed focus on the business customer. In her remarks, Brennan reinforced this message and explained that as “structure follows strategy”, the USPS has implemented changes at the executive level. Deputy PMG Ron Stroman will continue to oversee Government Relations, Sustainability and Office of the Judicial Officer. Stroman also will lead international efforts that involve public policy and oversee International Postal Affairs. Jim Cochrane, who has been the Chief Marketing and Sales Officer, will now become the Chief Customer and Marketing Officer. Mr. Cochrane has implemented several changes in his organization. Most notably, Cliff Rucker, formerly the Sales Vice President, has become the Sales and Customer Relations Senior Vice President. He will continue to oversee Sales, and also now be responsible for the Business Service Network and Customer Care Centers. Steve Monteith, the Executive Director of Product Management for mailing products and shipping services, is now the Marketing Vice President. This isn’t rearranging deck chairs on the Titanic or change for the sake of change. This is aligning responsibility for the customer within one organization, with a consistent, direct line to Mr. Cochrane, and from there to PMG Brennan. This is good for business mailers, and good for USPS employees. Because, in his words, Cochrane understands that the mission hasn’t changed – grow the business. In his briefing, Cliff Rucker went over the issues with customer service and the USPS call centers. He didn’t shy from sharing that the current organization is broken. Customers aren’t sure who to contact, USPS representatives are wasting too much time on issues like tracking shipments and equipment, and the wait time is too long for people who call. Rucker explained his plan for proactive outreach, dedicated account management and improved inbound communication. Sharon Owens, Vice President, Pricing and Costing, reviewed the highlights of the proposed 2017 postal rate changes. While most of the changes are either minor or positive for mailers, there are some significant adjustments in Standard Flats pricing. There was a concern raised about the branding transformation of “Standard Mail” to “Marketing Mail”. Specifically, many pieces mailed at the Standard rate aren’t marketing pieces, and a new indicia could create confusion for the recipients. Mr. Cochrane stepped back into the conversation to handle this question. He made it clear that mailers will not be required to use the word “Marketing” in their permit imprints. The USPS understands that any changes must add value - not detract value - from the mailpiece. Going further, he stated that as the service type is in the Intelligent Mail Barcode, it isn't as important to have the class of mail appear in the permit. This represents an opportunity to review what information should be required in the permit imprint. Expect more soon. This display of leadership should encourage business mailers. First, Cochrane took responsibility for the question and didn’t deflect or dodge the problem. Second, the answer shows that USPS leadership are listening. I’m sure that this wasn’t the first time the issue with using the word “Marketing” on business mail was raised. While continuing to move forward with branding changes, the USPS is recognizing the valid concerns of their customers. And developing answers that may improve service for all mailers. On December 8, 2016, the term of the one remaining appointed member of the Board of Governors, James Bilbray, expires. When asked about this, PMG Brennan said that she was confident that the Senate would confirm President Obama’s nominees when they return after the elections. She also expressed optimism around the legislative reform bill currently in the House of Representatives. An important job of a leader is to encourage positivity – especially in the face of challenges. The full presentations from these speakers, as well as the rest of the afternoon, will be posted on the RIBBS Industry Outreach page in the coming weeks. The next MTAC meeting is scheduled for February 28 - March 2, 2017. If you can make it to Washington, DC, it’s worth the trip. PS – The meeting ended with a special presentation by the National Association of College and University Mail Services (NACUMS). The past president of NACUMS, Richard Boudrero of Utah State University, presented the John P. Wargo Industry Partnership Award to Ernie Harris of the USPS. Any mailing industry veteran will agree that this is a well-deserved recognition. Mr. Harris has been a tireless supporter not just of higher education, but of all business mailers. Congratulations Ernie!